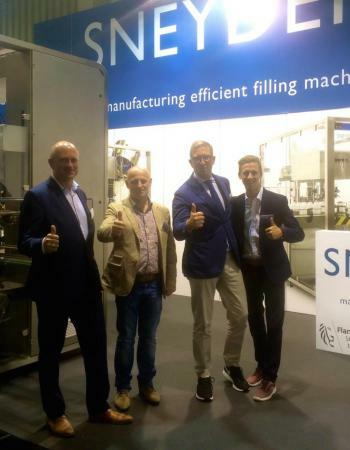 The Sneyders team would like to thank the numerous customers paying a visit to its booth at the Fachpack show in Nürnberg. The Scaldis filler with flowmeter dosing system, double tanks and 12 filling heads attracted a lot of attention from existing and new customers. "Its rapid format and product change over is a real plus for companies in the contract packaging industry. 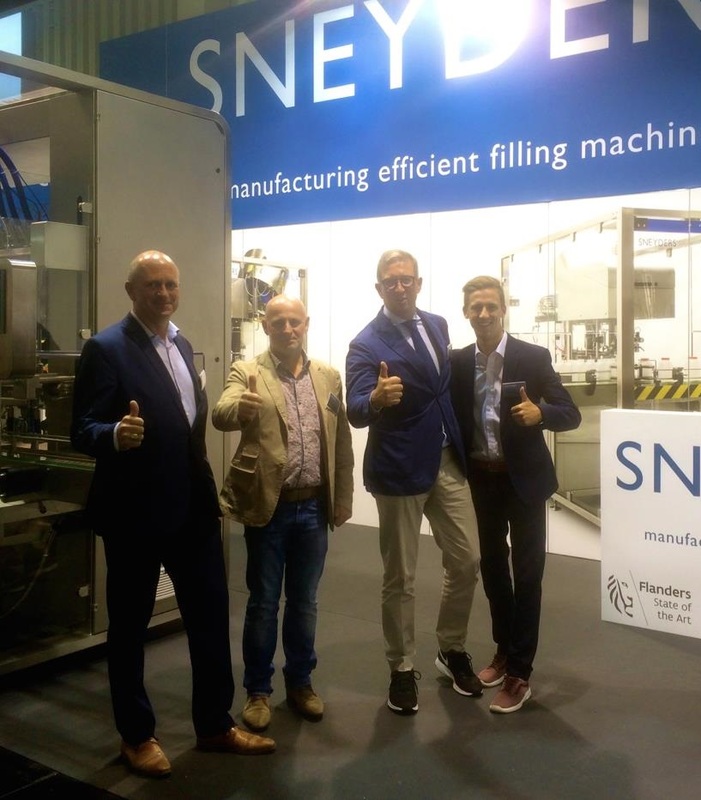 That’s why a lot of companies came and informed themselves on the servo-driven technologies used in this Sneyders filling machine” says Hans Lansink, responsible for sales in the German market. The show was a big success according to Yves Van Bavel, CEO. Customers are increasingly looking for "easy to operate” machines which can be used by less skilled staff. The screens used on the Sneyders operator panel are easy to understand and guide the user in a logic way through the operating, change over and cleaning processes. Do not hesitate to contact Sneyders for more information on its filling and capping machines. Call + 32 3 475 066 0 or e-mail info@sneyders.com.